*Emily Reviews writers were provided with product samples. All opinions are our own. 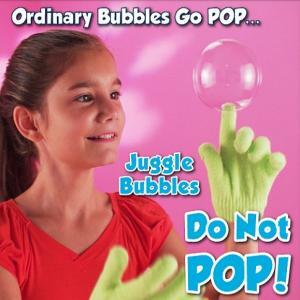 Kids always want toys that they see on commercials, “as seen on tv” Juggle Bubbles are no exception. Buying a child in your life Juggle Bubbles might be the way to become the cool Aunt (or neighbor, grandma, etc) this year. Each box contains a small container of bubbles and gloves, plus a mixing dish and wand. When wearing the gloves you can touch the bubbles and they won’t pop! Juggle Bubbles are recommended for ages 5+ and may even fascinate teenagers. The box is a bit too big to fit into a regular sized stocking, but each kit is just $10 each (or buy 2 get the third free) so they make an affordable gift even if you’re buying for multiple kids. 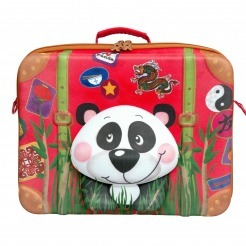 Okiedog offers a fun selection of whimsical children’s backpacks, rolling luggage, and Suitcases. These lightweight suitcases offer bright colors and a variety of friendly characters. Geared for children, ages 2 through 6, there is plenty of room to pack for a weekend getaway at Grandpa and Grandma’s. Kids love products that are their size and these suitcases are sure to please. Be sure to check out Okiedogs other fun and unique lines of products for boys, girls, and even their diaper bag line for moms. Also see my full Okiedog review. Check out the Dareway for an exciting extra-pleasing gift this holiday season. Geared to fill the gap between preschooler ride-ons and teen dirt bikes, the Dareway is a fun standing ride-on geared for ages 6 to 10. 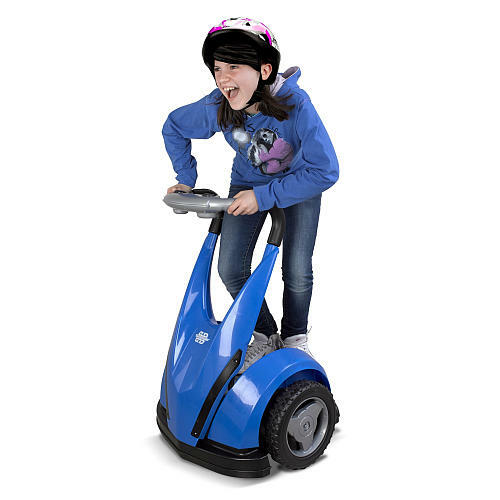 With handle grip buttons, foot pedal accelerator, and 360 degree turns, this unique driving action packed product is sure to please the tweens in your life. The sturdy platform gives great stability for a safer ride and ease of mind for parents. Also see my full Dareway Review. All the pet lovers will enjoy the Pet Vet Clinic from Lakeshore Learning. My kids are obsessed with animals and are always talking about what pet to get next and this will make a great gift this Christmas. 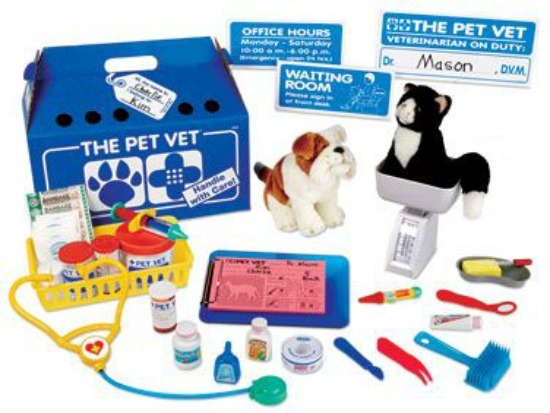 This set comes packed with everything a little vet needs to take care of all their play animals. From medicine and a stethoscope, down to the doctor forms and office signs, hours of imagination and play come packed in this handy box that doubles as a pet carrier. Geared for ages 4 and up, this is a fun set that can be played with alone or with friends. Pets sold separately. Do you like warm hugs? 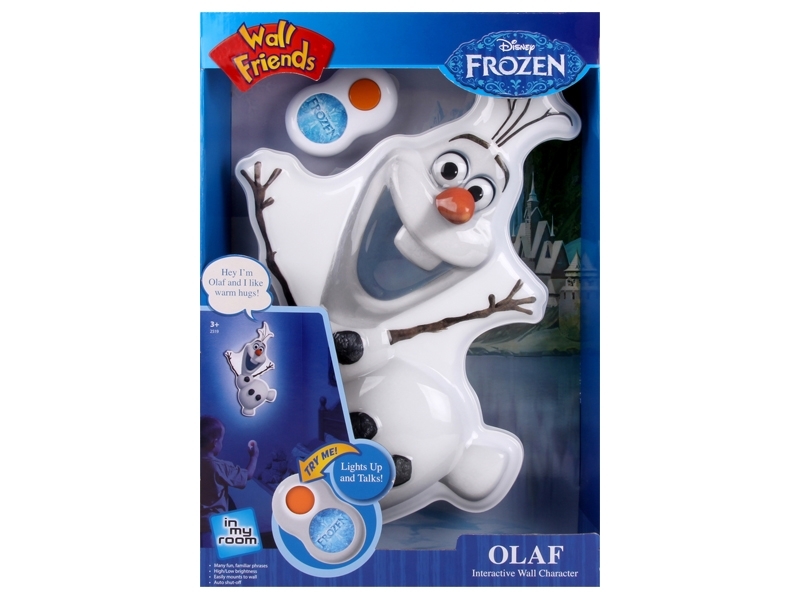 The friendly Olaf is a talking Wall Friend that lights up and talks with the push of a button, making him a great addition to any child’s room. Olaf easily mounts to the wall and is over 13″ tall. He has a high and low setting for brightness as well as auto shut-off. Now our friendly Olaf can allow for Frozen fun all year-long by being a part of children’s bedrooms. Uncle Milton also offers a wide selection of fun, quality, and educational products so be sure to head over and check them out. 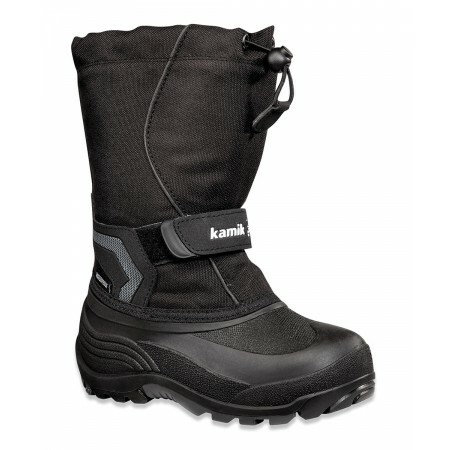 The Snowbank Boots from Kamik are perfect for the cold Winter weather that is on the way. Available in children’s sizes 8-13 and kid’s sizes 1-7, these boots are a great addition to Winter wardrobes. Features include: a waterproof upper liner, sealed seams for waterproof construction, removable liner, moisture wicking lining, adjustable snow collar, bungee lace lock at the top of the boot for the perfect fit, easy grab adjustable velcro strap, lightweight flexible shell, Kamik’s special SNOWAVE outsole, and a height of 9 inches. Head over to Kamik to see their Boots, Liners, Sandals, and Slippers they have available for men, women, and children. Also see my full Kamik Snowboots Review. 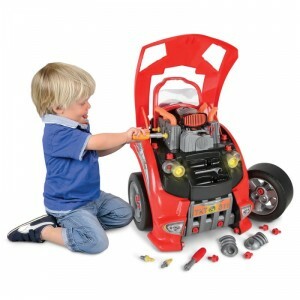 Hammacher car lover’s engine repair toy – really unique toy for car loving boys. There are multiple ways to play with this set. Several pieces come off so you can be a repairmen. A track comes out the back so that matchbox cars can drive on it. There is a storage compartment for matchbox cars and the backside of the toy has a steering wheel so that you can pretend to drive it. Don’t let the young-looking model fool you – this toy isn’t just for toddlers it’s for ages 3+. Each of my six nephews has went through a love of pretending somewhere between about 3 and 8 years old. Yet, it’s hard to find dress up costumes that are gender neutral or aimed at boys. 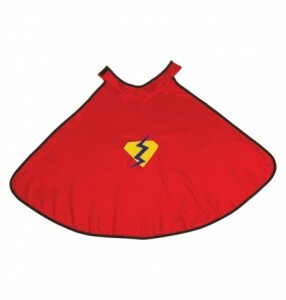 Great Pretenders is a great company to check out if you have a boy who likes to pretend because they have a nice selection of boys dress up clothing that includes capes, costumes and accessories. Most of their costumes are available in multiple sizes so you can get a good fit for your child. A couple of their costumes are reversible so you get two dress up possibilities for the price of one! If you have a little girl who likes dress up they have a great selection for girls as well. When a child reads a book, it opens their lives to new exciting adventures and a world of knowledge. 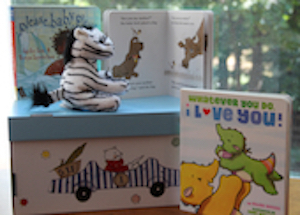 Wackadoodle Books offers a great collection of books and book gift baskets. They also offer a registry wish list. This is a great option for family members who might be shopping for young readers. A registry will allow you to create a wish list of books for the shopper to choose from. Or, you can choose books to gift based off age filters, book suggestions or reviews. Wackadoodle Books makes it easy to gift books. For my complete review of Wackadoodle Books and a giveaway, please click here. Kids love to pretend. Pretend to cook, pretend to take care of baby. Why not pretend to be a cashier and learn all about money and numbers? Imagine Toys offers a great Electronic Cash Register. Kids can learn basic math skills because it has all the numbers and mathematic operations (adding, subtracting multiplying and dividing). They also lean about the different food groups because they need to find the right ‘codes’ for each item. They can scan items or weigh them just like a real cash register. It has a cash drawer to sort coins and bills and learn to make change. It has a kid sized but realistic looking money and a credit card that can be swiped just like a real one. 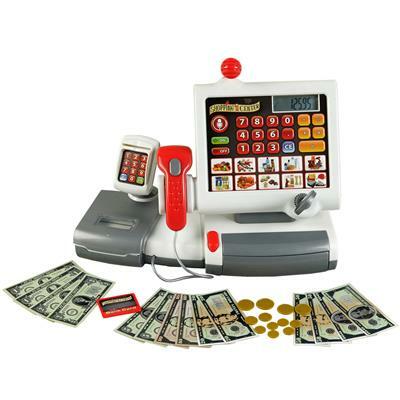 Here is my full Imagine Toys review of the Electronic Cash Register and 2 other toys from Imagine Toys. Also includes a $50 gift card giveaway that ends 12/7. VTech Switch & Go Dinos. These were a favorite for one of my nephews and one of my nieces who went through dinosaur phases. The line is for ages 3-8 with each item having different “tricks” that it can do. 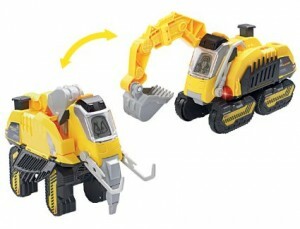 For example, the woolly mammoth toy can travel up to 50 feet and switches into an excavator. The triceratops deluxe launcher switches from a dino to a vehicle and races up to 20 feet. When in car mode it can be launched from the dino mouth which I know will appeal to my race-car loving nephew. 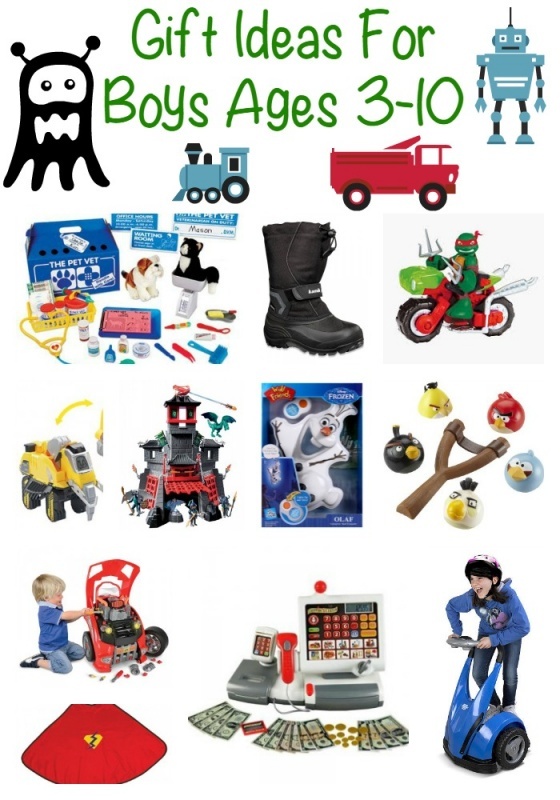 The toys from this line range from about $15-$30 making them an affordable gift idea. TMNT Half Shell Heroes 2.5 inch figures from Playmates Toys. These are suitable for kids 3+ and I know they’ll be enjoyed by my 4 and 8-year-old nephews who both like the ninja turtles. They are the perfect size for little hands to pretend play with. 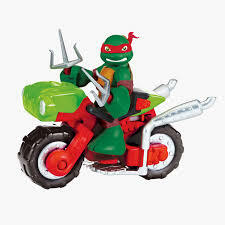 Each figure comes with a mode of transportation such as a surfboard, wings, or motorcycle. They are about $6.99 each and are a great size to throw in a stocking. They are also a great size to throw in a diaper bag or purse to bring along for quiet play in a waiting room or similar location where you need to distract the kids without dragging something bulky along. Playmobil Secret Dragon Fort the whole dragon line from Playmobil is likely to appeal to boys. 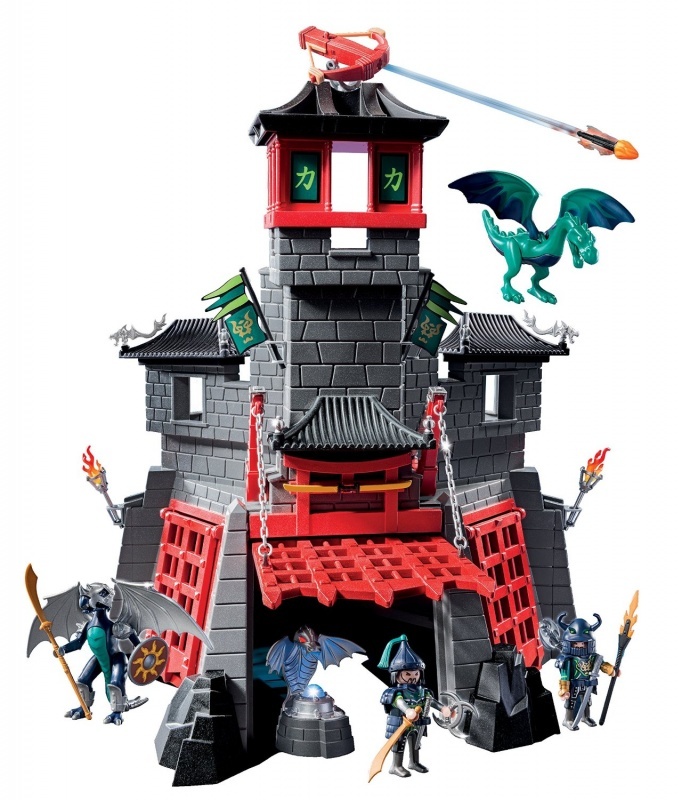 The secret dragon fort is of course the perfect place to play dragons and knights (it comes with two dragons and two knights). The hinged gate and crossbow are sure to be favorite features of the toy. The dragon fire glows blue and the set includes small accessories like shields, torches and flags. I can see my nephews using their imagination to make it into a tree fort for regular pretend play with other figures as well. The Angry Birds Mash’Ems sets from Tech4Kids are real world versions of the angry birds app game. The birds are super squishy and the slingshot really works. 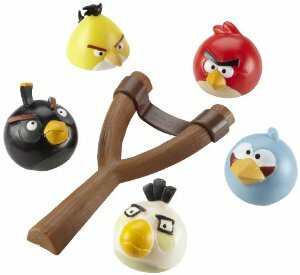 You can fling the birds against a door or other safe surface or you can find small objects to create real life angry bird scenarios. This set will definitely appeal to angry birds fans but it will also appeal to active boys who just like knocking things over or flinging stuff. I know that this set would appeal to all six of my nephews in the 4-10 age range. My son would really love that pet vet clinic, I am putting it on his list for sure! My fave here is Hammacher car lover’s engine repair toy and have never seen anything like it. Kids can fix the car just like dad–love this.